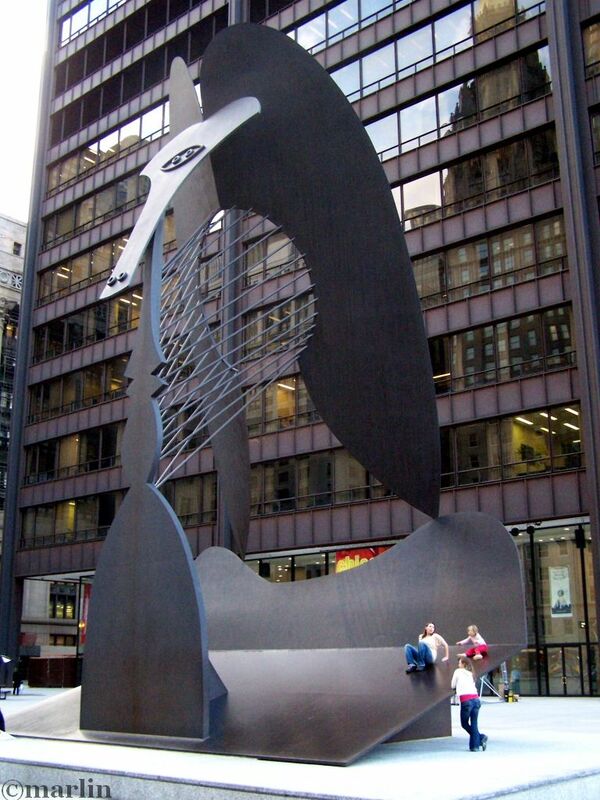 The Chicago Picasso, an unpainted, three-dimensional, cubist sculpture standing 50 feet tall and weighing 162 tons, is made of Corrosive Tensile (“Cor-Ten”) steel, the same material used to build the Daley Center. The steel is designed to form a protective coating of iron oxide (rust) which protects the substrate from further corrosion. It is obvious, from examining the surface in 2007, nearly 40 years after installation, that this steel is eminently suited to an urban environment. Although Picasso never put a name on his design, the sculpture has been compared, variously, to a woman’s profile, a dog, or some sort of bird. The initial reaction of many Chicagoans was one of outrage, or at least distaste for the unfamiliar. Since then, though, the statue has become an unofficial proud symbol of the Windy City and is embraced as an outstanding civic treasure. 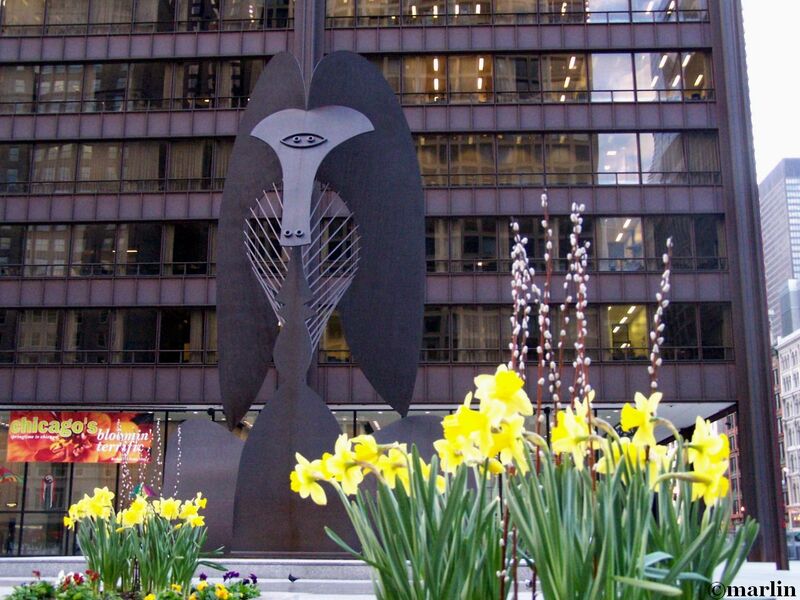 Undoubtedly the most famous of Chicago’s many outdoor sculptures, the Picasso was unveiled in the Civic Center Plaza on August 15, 1967. 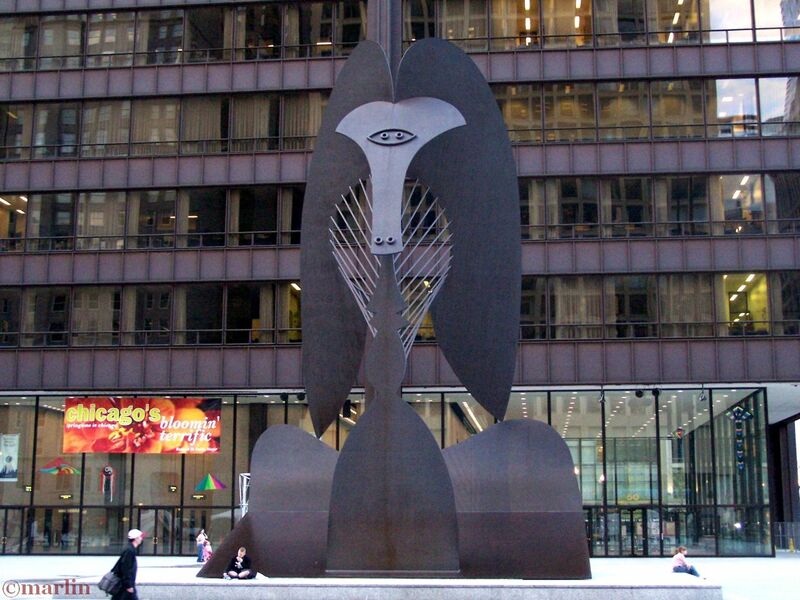 Greeted at first with catcalls, scorn and ridicule, the sculpture marked the beginning of Chicago’s love affair with contemporary art, a love affair that would lead, a few years later, to the passing of an ordinance requiring the city to set aside a percentage of its annual construction and renovation budget for art purchases. 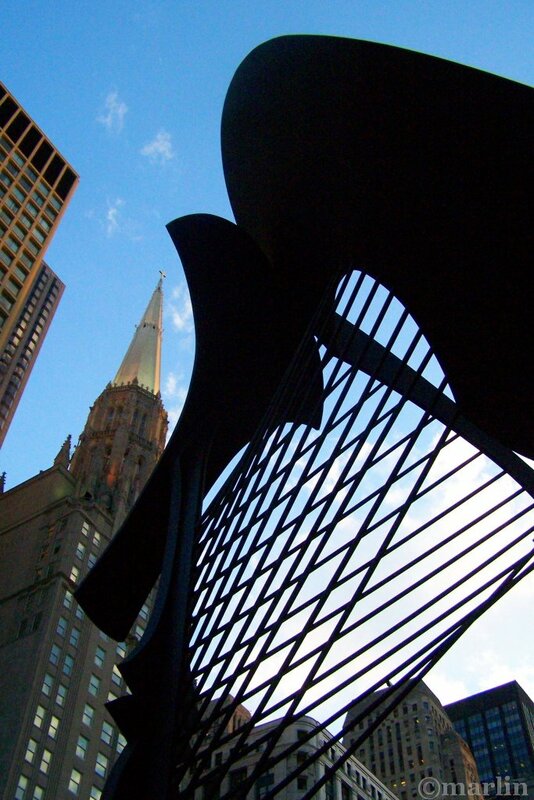 The past 50 years have seen Chicago become an art-loving tourist’s dream – outdoor sculptures dot the city by the dozens. Despite the poor reception the sculpture initially received, the statue has become one of Chicago’s unofficial symbols, along with the John Hancock Center, Soldier Field, and The Art Institute lions. Few are the citizens of Chicago now who do not recognize and point with pride to this colossal work. Pablo Ruiz Picasso (October 25, 1881 – April 8, 1973) was a Spanish painter and sculptor. His full name is Pablo Diego José Francisco de Paula Juan Nepomuceno María de los Remedios Crispín Crispiniano de la Santísima Trinidad Ruiz y Picasso. Picasso is undoubtedly the preeminent figure in 20th century art, best known as the co-founder, along with Georges Braque, of cubism. It has been estimated that Picasso produced about 13,500 paintings or designs, 100,000 prints or engravings, 34,000 book illustrations and 300 sculptures or ceramics.